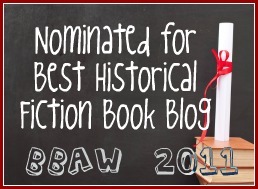 We are a group of readers who love to read Historical Fiction set in all eras. Historical Tapestry is exclusively devoted to Historical Fiction. If the book you are promoting is not in this genre, we will not be able to devote space to it on this blog.Whilst we welcome all requests for reviews we reserve the right to not accept every book offered. We will also endeavour to always give an honest review. We are always interested in working with authors and publicists, so if you are interested in guest posting, being interviewed or having us host a giveaway then please contact us on the email address below. We have several established features that we offer for guest posts including Why I Love posts, and Books of a Lifetime. For more information about the different types of features we have, please click on the tabs at the top of the blog or spend some time exploring the blog. All posts have additional exposure on Facebook and Twitter, ensuring that they are seen by as many readers as possible. Teddy's So Many Precious Books, So Little Time"
Important Note: We are based in different countries around the world - Australia, France, Portugal, England and Canada. Please bear this in mind if you have restricted shipping options. The Sunshine Award is an award given by bloggers to other bloggers. The recipients of the Sunshine Award are “bloggers who positively and creatively inspire others in the blogosphere.” The way the award works is this: thank the person who gave you the award, and link back to them. Then answer questions about yourself. Finally, select up to 10 of your favorite bloggers, link their blogs to your post, and let them know they have been awarded the Sunshine Award! I nominate the following 10 bloggers and their blogs to receive the Sunshine Award. Congratulations! I saw you did historical r/c in the past is there one for 2014? Good morning! I love your blog, btw-- FABULOUS interviews! Wonderful reviews! Awesome books! I'm sorry to bug you here, but I had a blog hop contest last week, and the winner's comment was tied to this blog. The user-name was Co. I'm trying to find her so I can get her prize to her!! Co, are you one of the authors of this delicious blog?? Oh my gosh I think that is me!!! A lot of times when I am typing in my name or my email address it pops up as my full information when I start typing...I wonder if this happened to me and I didn't actually click the full information and so what populated the field was just the "Co" portion of my name? Either way I will reach out to you to see if I won...sorry for any confusion! !